So it’s been a really busy summer. We traveled for almost a month, seeing more of the Beautiful U.S.A. I think we were home for 4 days when we had to quickly travel down to Florida for a family members health emergency. 10 days later, back home for a two weeks and now….in the home stretch since school starts for me next Monday. So sad to see summer go, but looking forward to the new school year. 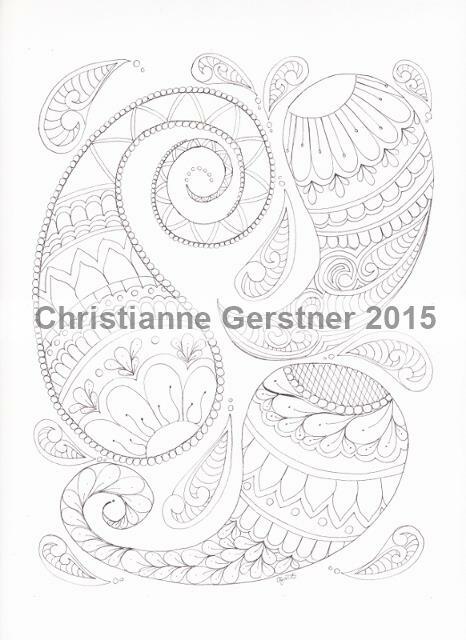 So while all this was going on…the Collaborative Coloring Book I participated in was published!!! 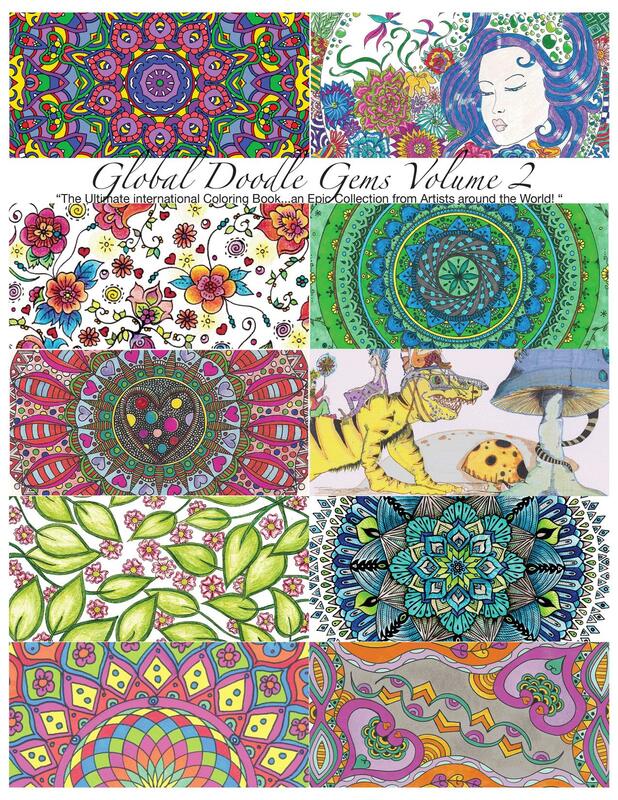 Global Doodle Gems, Volume 2, available on Amazon! I’m pretty excited to be in the midst of some wonderful artists – it’s quite a thrill seeing my own work out there in a book! I’ll be listing the other pages over the course of the next few weeks, so stick with me. 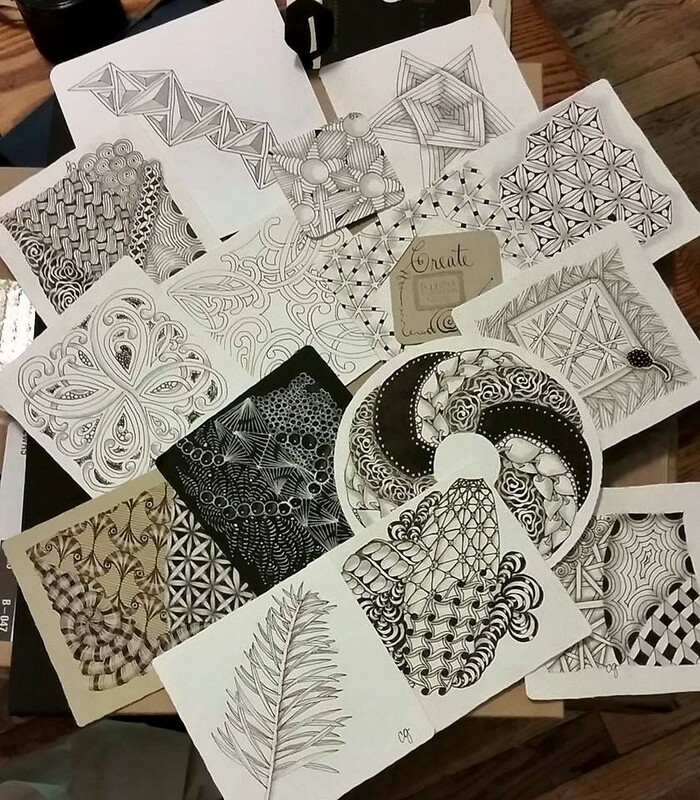 I’m looking forward to getting back to work on my own collection of coloring pages as well. And just to make things a little more interesting, we’re also gearing up for the NJ Sheep Breeders show in just a few, short weeks. 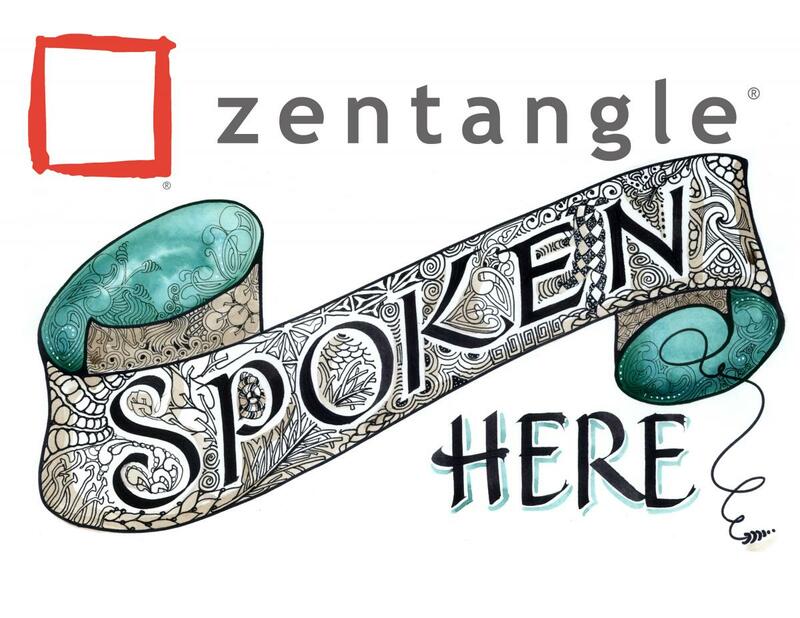 Did I forget to mention I need to get a class schedule together for some Zentangle classes as well? Yes, there is that, too. So tell me, what did you do over your summer vacation? Rhode Island will always be so special to me now…. So much. So many much. Honestly – there isn’t a big enough word to describe the enormity of how this experience has impacted me. Amazing, Wonderful, Exciting, Awesome, Extraordinary….they just don’t seem to do the job. My body of work from the seminar – I just cannot believe all that we experienced. You really have no idea until you decide to attend this and get there. You don’t read too much about it on the interwebs and maybe that helps make it more exciting when you get there. I will tell you this – I do not think you can possibly find a person who didn’t think this was one of the best things they ever did for themselves. So much to absorb and I cannot wait to share this method with students. It’s something remarkable to know that you’re standing on the edge of something so wonderful that you might just get to share with other people. 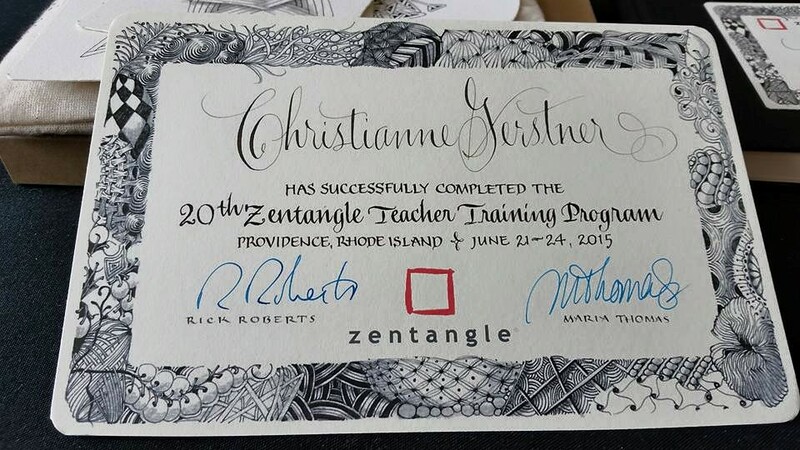 I’m a Certified Zentangle Teacher! I hope you enjoy it and I’ve love to see what you do with it. 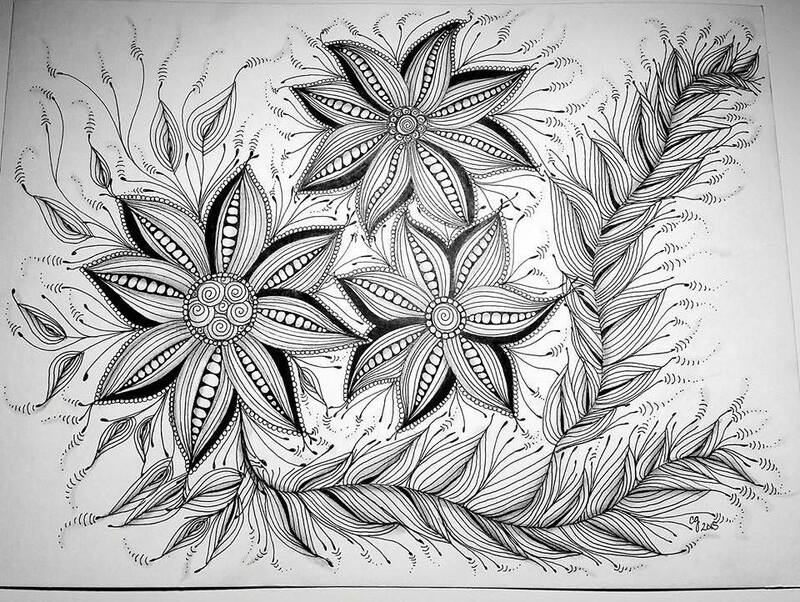 Come on over and join us at For the Love of Doodling! Well, the show went on without a hitch. The weather was really bad – very heavy rains, so I think that a lot of people didn’t venture out, but we were among over 120 vendors and we had a fair amount of buyers. We did ok. I would definitely consider doing the show again, and definitely change things up a bit – our future daugher-in-law Jess, spent the day there with us, which was just so enjoyable and she was so helpful. Since she’s very talented herself, I really appreciate the ideas that she comes up with in terms of what I can do to offer more interesting and appealing creations. And brainstorming with her, I thought maybe I should venture into the world of Youtube videos…….put myself out there before I get my CZT and get people familiar with my channel, so to speak. She has her own Youtube channel and I trust her opinion So….I made a little video. Please feel free to share, like, comment, subscribe – I’d really appreciate the feedback. And thanks for taking the time to watch! And about that CZT Seminar. Registration opened up and my friend Karen and I are now signed up for CZT 20 in June! So very excited! I cannot wait and we hope to be teaching our first class sometime next fall. I really feel keeping my daily journal helped with meeting all the goals I had before the show, so now…onto the Holidays – I better get shopping! Well…..Mike Rowe Won! I’ve been nominating him since Kim started this contest and finally….He is the Knitter’s Hunk 2014! Woohoo. And this gal won the Grand Prize….but honestly, Mike winning that Knitter’s Hunk title was Grand Prize enough – thanks for all the help! I’ve been busy, busy. Work/School started up…..seriously cuts into my art time. Hubby and I did a Fiber Festival and had two really fantastic days! I couldn’t be happier – Some of my original Sheep founds new homes and lots of prints and cards, too. All my Tangled Whorls sold out before the second day opened. We will definitely be doing that show again. Now to something that happened this weekend. I have mentioned Ben Kwok and his group Ornation Creation. Ben makes wonderful templates for us to use and enjoy – he has stated many, many times that we can sell our work made from his templates. Friday night someone on the group reported a person on redbubble that didn’t use a template of Ben’s….they took an original piece of artwork of his and listed it as their own. That person was quickly banned by Redbubble. Quite a different thing. Now I would have put that in a private message to Ben, but a member put it on the group wall. What ensued after that was a semi-witch hunt. And since people were so gung ho, looking up possible art theives…..they came upon MY Redbubble page and started listing links to my page and STATING MY NAME on the group wall. And yet the real thief’s name was never mentioned. The very first person to do that so enthusiastically, is a fellow Artist and popular CZT, has a popular blog that I had been promoting and recommending to people. The second person, who stated my name, I don’t know from adam, but eagerly jumped in to add her two cents and linking to more of my artwork. The third person to link to my page AND state my name just jumped on the bandwagon. Can you see where this is going? None of these people had the facts. If any of the three of them READ the descriptions on my artwork, they would have clearly seen Ben’s name, giving him credit for the template. If any of them cared to read the many posts Ben made, stating the permissions he gave, this wouldn’t have happened. These three people, never thought of the damage they were doing to me and my reputation. Incriminating me in the mix with a thief. The commenting thread got to be over 100 comments long! People came to my defense, other members “reminded” people about what Ben has stated , yet another posted concern that putting my name out there maybe wasn’t the right thing to do….but this thread….people were never going to see the thief’s name – only MINE because people who I’ve interacted with, one who is a member of my own group on Facebook, just threw me into the mix. So very thoughtless. I know stealing art is horrible, but I didn’t steal art. I made art. My work appeared at the top of their searches probably because I’ve gotten a few features over at redbubble – but these people really should have checked their facts before accusing someone PUBLICLY of doing something like that. Better yet, ask some questions privately….Not one of these people bothered to contact me at all. They just labelled me, threw my name out there carelessly without a single thought as to what that would DO. One of them apologized. That well known artist/CZT, being the first, Enthusiastic person to link me, removed her comment without so much as a sorry, with a terse “I’ve removed the comment Chris…” Needless to say…..I have a new view of three people. This says much more about them, then it does about me, I know that. I had the support of a lot of group members, my family and close friends that actually caught the drama as it was unfolding and other members that took the time to reach out to me privately and offer their apologies that this had happened and their support. Go figure – people who did nothing wrong offering up apologies. But those three other people getting caught up in drama, mob mentality……who really should have thought before they typed – those Internet muscles can really hurt someone. Targeting someone, like they targeted me is BULLYING. By the way, Ben himself was clear and restated his permission for the 100th time. And he took down the post at my request. The point? Think before you link. I could just as easily and rightfully link to that artist’s page and you’d all know who she was, however tempting that is to me. She affected my day, my reputation, my art, something I love and enjoy. Am I going to do that? No….two wrongs don’t make a right. I wouldn’t want to affect her, the way her bad judgement and rash behavior affected me. But I needed to get this off my chest. Thanks for listening. It’s Knitters Hunk time…..let’s get Mike into the running to WIN! Go vote. Now. Please?